I contacted Byron Brink after a Letter to the Editor he wrote to the Columbian, and asked him to expand his comments on the Refuge. This is part 2 of his thoughts. We are Stewards of the Ridgefield National Wildlife Refuge – Part Two. The U.S. 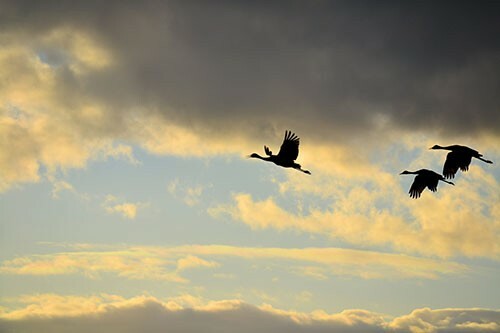 Fish & Wildlife Service and the Friends of the Ridgefield NWR find good fortune in the current position of the refuge. 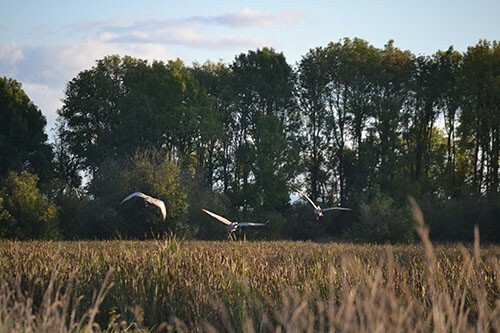 It is bordered by Sauvie Island, the Shillapoo Wildlife Area, DNR lands, county lands, Plas Newydd Farm (that is transforming a large portion of their land into a mitigation bank called Wapato! ), and the many fields we drive by in Clark and Cowlitz counties. Each of these areas acts as a travel corridor for the movement of wildlife and plants. And they act as crucial buffers to shelter the rich biodiverse landscape of the refuge. Reduce the area of impervious surfaces on your property to slow water run-off and the spread of pollutants. Allow that awkward ¼ acre of lawn to grow. You’ll create a pollinator’s paradise. Mow it 2-3 times a year to create a landing pad for geese and Sandhill Cranes during their migrating season. Landscape with native plant species! Our native wildlife is adapted to utilizing the benefits of our native plants. On a larger scale, we still have the ability to conserve the beautiful fields traversing our countryside. Property owners have the option to place a conservation easement on their land or protect their land in a trust. Additionally, as a community we must advocate for the preservation of land to our city leaders, and to our county leaders. We have to constantly make noise. Furthermore, we need to advocate to developers that it is critical to our community and our wildlife refuge to protect an ecologically substantial amount of open space, to minimize impervious surfaces through green roofs, pervious pavement, and smaller streets & driveways. And to develop Home Owners Association landscape areas with native plant species laid out in a way nature would have intended. Developerscollaborate with the professions of planning, civil engineering, architecture, and landscape architecture. Through this network, anything is possible. The refuge staff and the Friends coordinate many volunteer events annually. There are few actions more satisfying than getting one’s hands dirty performing restoration work for a place you love. To get involved directly, or to give, go to www.ridgefieldfriends.org. We can do this. Our collective actions will render a world in which we no longer need worry about the state of the refuge and the creatures within. A time in which we may simply enjoy in its wonderment. When we may stand to listen to the secrets the Ridgefield National Wildlife Refuge has to share. Aerts, Raf, and Olivier Honnay. “Forest Restoration, Biodiversity and Ecosystem Functioning.” BMC Ecology 11 (2011): 29. PMC. Web. 22 Feb. 2018. Anderson, Eric. “Questions about the Refuge.” 15 Feb. 2018. 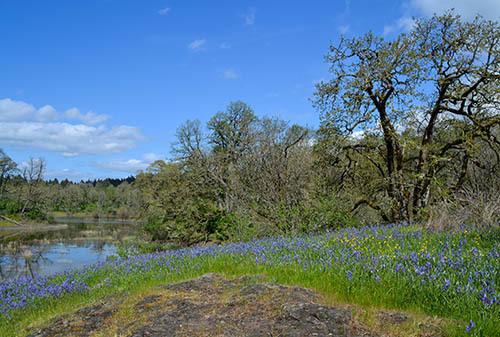 Deputy Project Leader, Ridgefield National Wildlife Refuge Complex, U.S. FWS. Leopold, Aldo. A Sand county almanac and sketches here and there. OUP, 1968. Zeiner, Samantha. “Questions about the Refuge.” 13 Feb. 2018. Administrative Assistant, Friends of the Ridgefield National Wildlife Refuge.